Beginning September 27, Breezes Dock Bar and Grill will be hosting no buy-in Kontenders Poker every Tuesday night at 7:00. This venue will be featuring a single-game deeper-stack structure, so our players will have plenty of time to leverage their poker skill edges in pursuit of our $100,000 tournament in December and our $200,000 tournament in June! 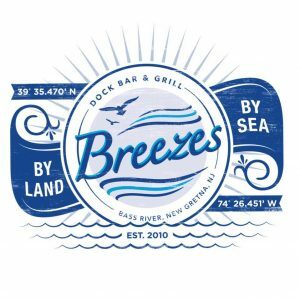 Breezes features a great seafood menu, as well and indoor and outdoor seating, so you can feast on fresh seafood while playing the great game of poker. Do you think pocket 3’s will be wild at Breezes? 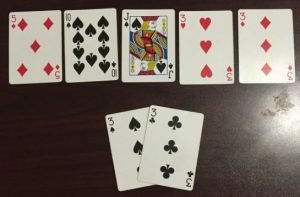 Hard to say, but I’m not going to make it a habit to fold “crabs” preflop at Breezes! Breezes is located just off of the Garden State Parkway, a little north of Atlantic City. About 10 minutes north of Smithville or Port Republic, and 10 minutes west of Tuckerton, if you are anywhere near Galloway, Smithville, Little Egg Harbor, or Manahawkin, please come out and play some free Texas Holdem with us!